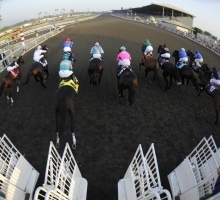 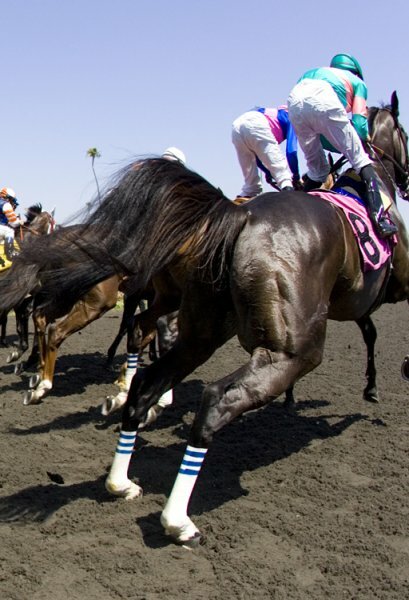 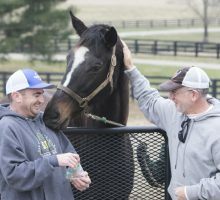 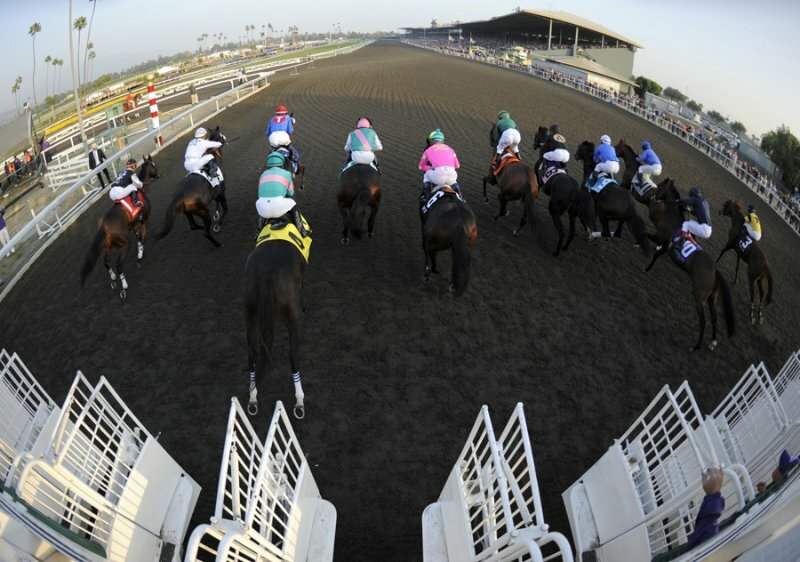 Funny, flirtatious and fan-friendly are not adjectives often used for race horses, but those words are a perfect fit for the mighty 17-hand Zenyatta. 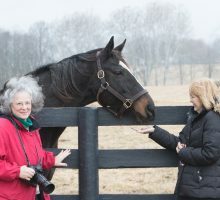 She dances, she prances and she poses for photographs for the throngs of fans who await her arrival at airports and racetracks, holding posters and cheering for her as they might for a rock star. 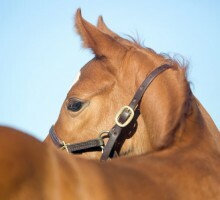 Indeed, this “super filly” was born to rock and roll. 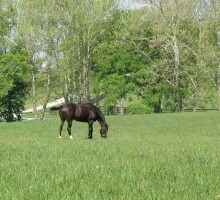 Her name is from the multi platinum album, Zenyatta Mondatta, by The Police. 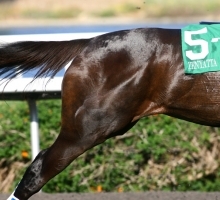 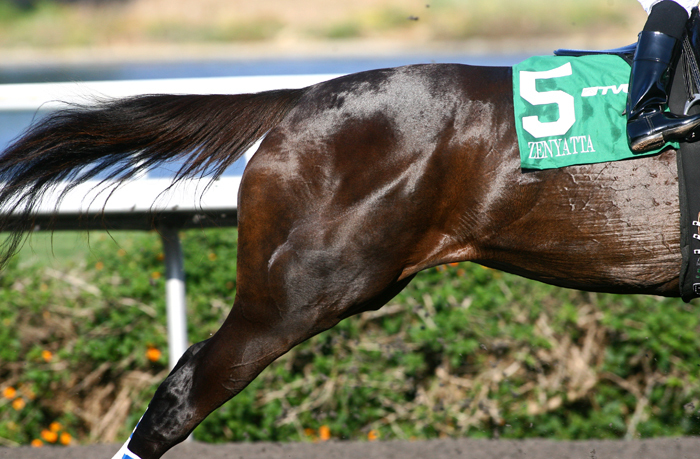 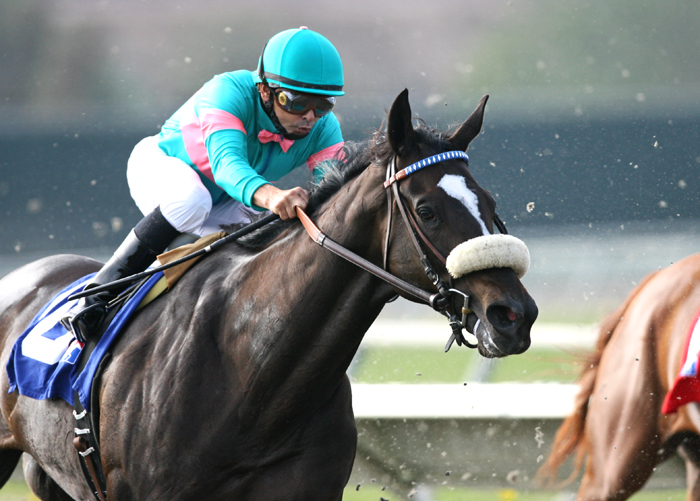 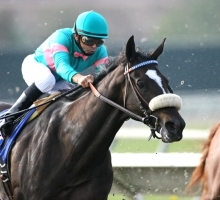 Zenyatta began her racing career as a three year-old, under trainer John Shirreffs, winning her maiden race in 2007 at Hollywood Park. 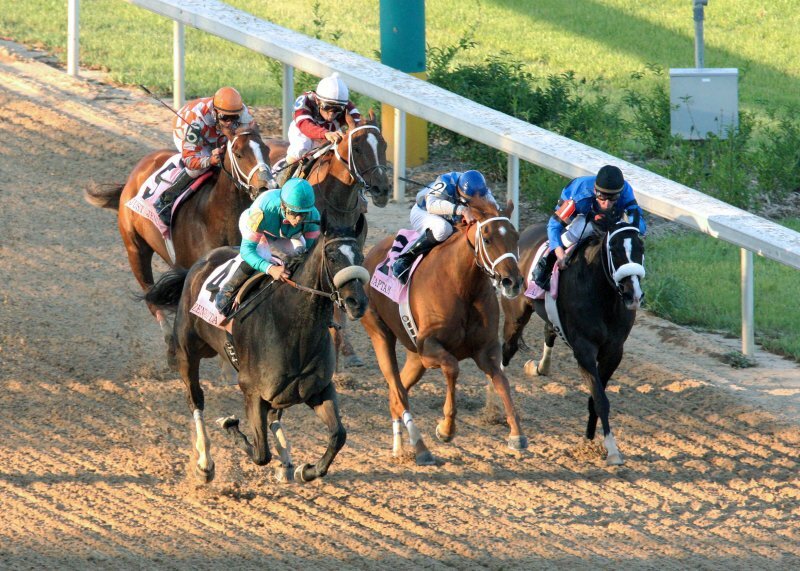 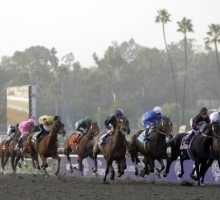 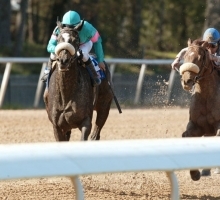 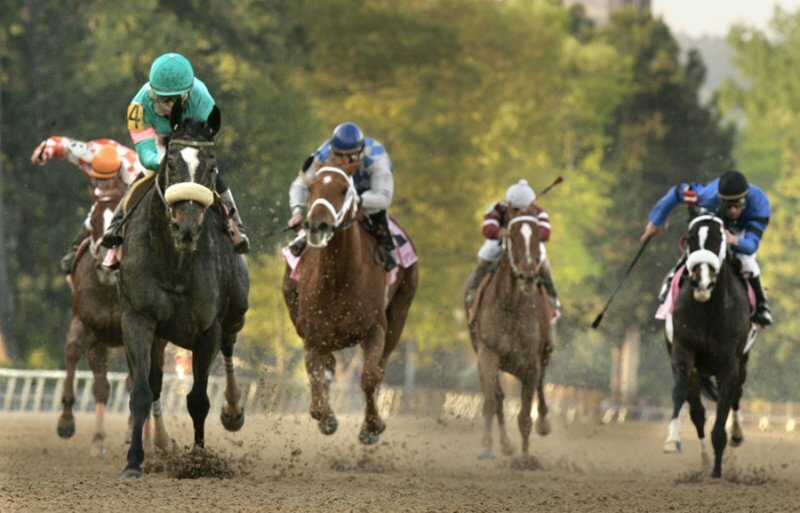 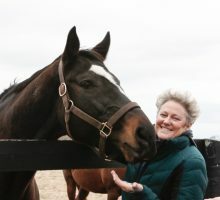 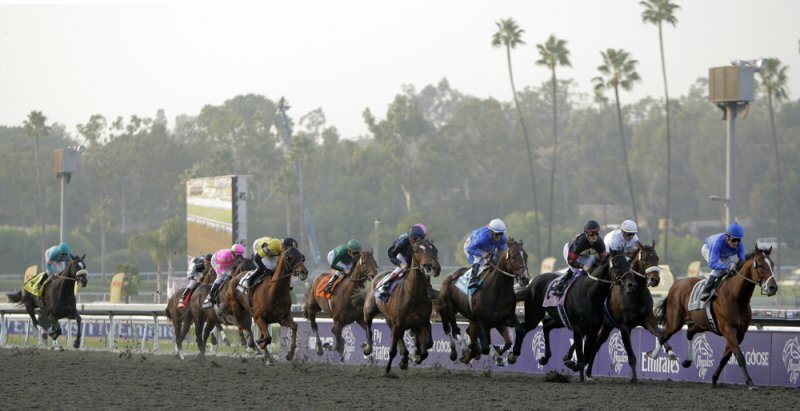 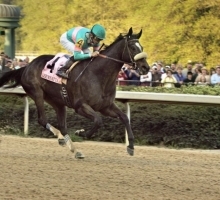 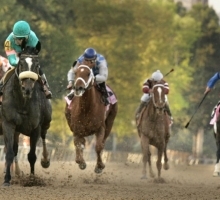 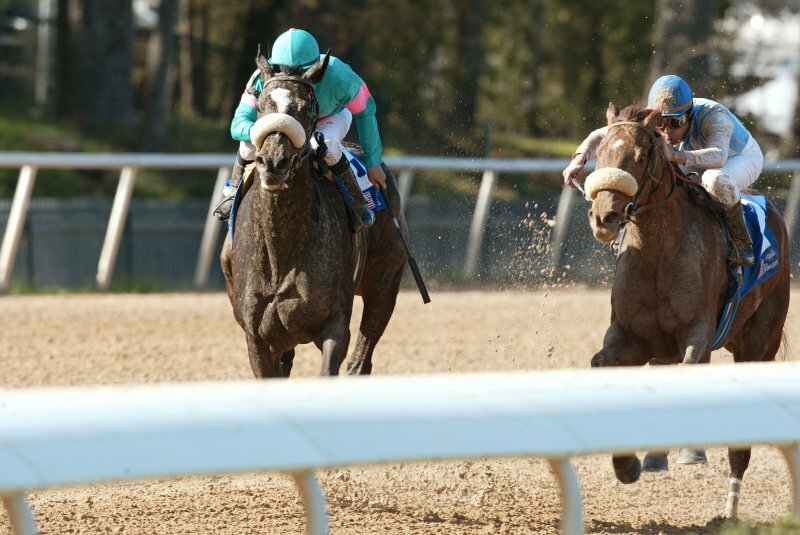 She rewrote racing history by beating the all-male field in the Breeders’ Cup Classic in 2009, becoming the first mare ever to win that race and the first horse ever to win two different Breeders’ Cup races. 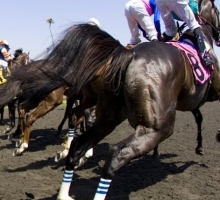 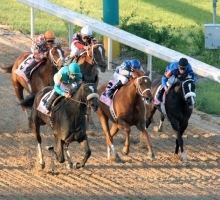 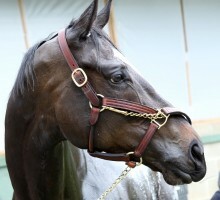 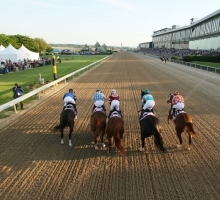 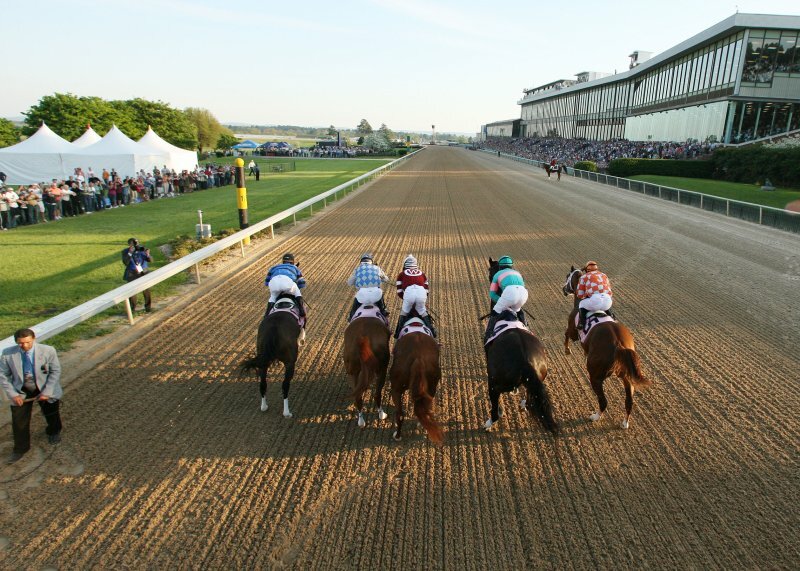 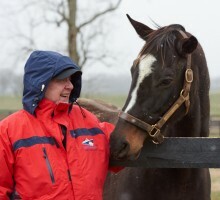 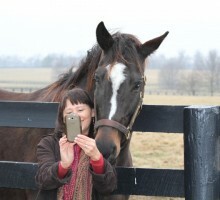 She is racing’s all-time North American leading female earner. 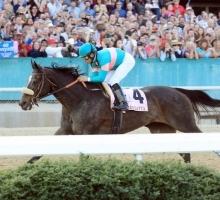 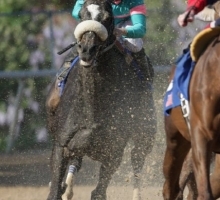 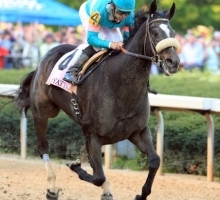 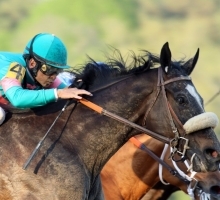 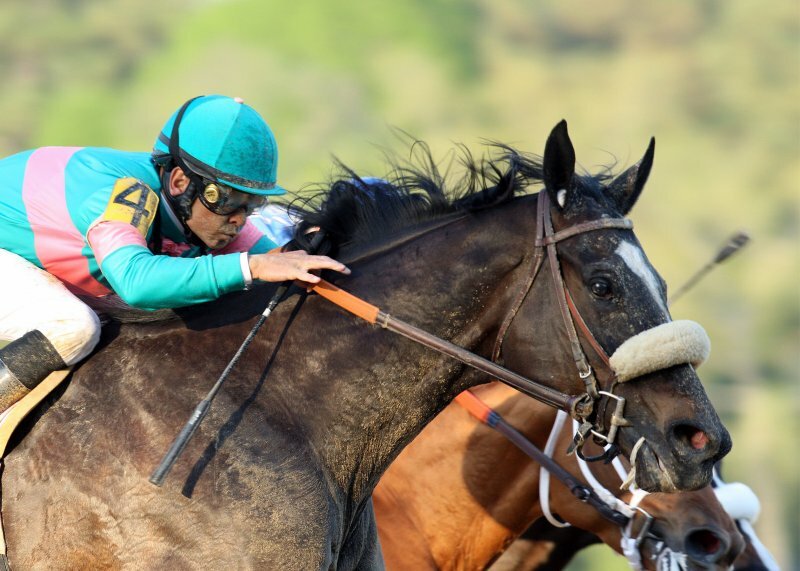 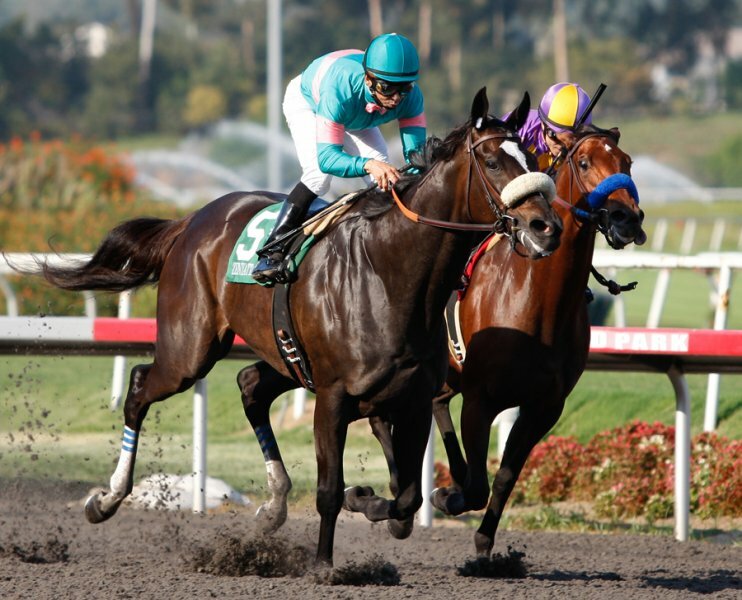 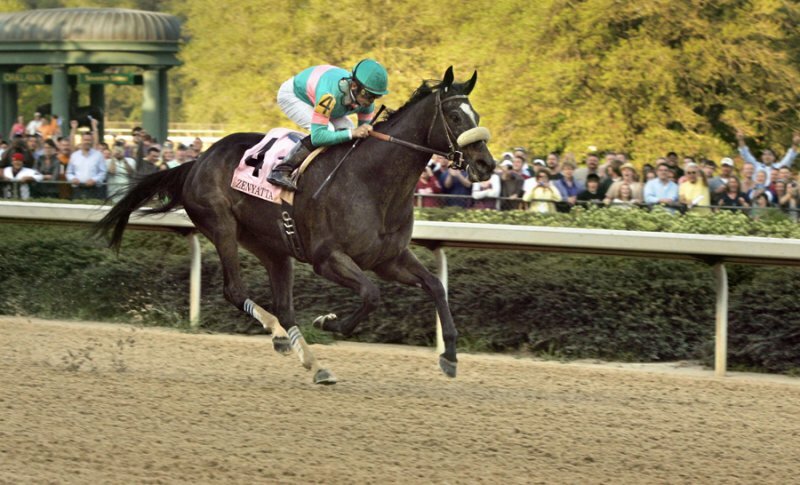 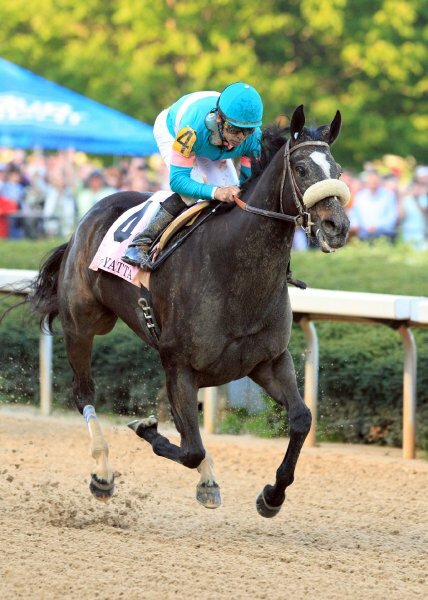 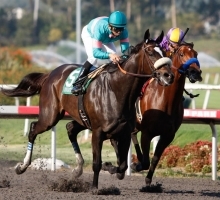 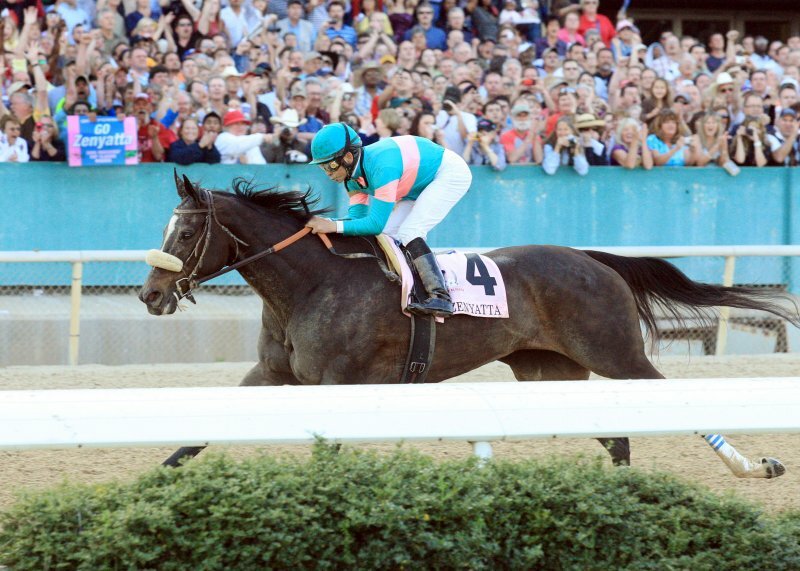 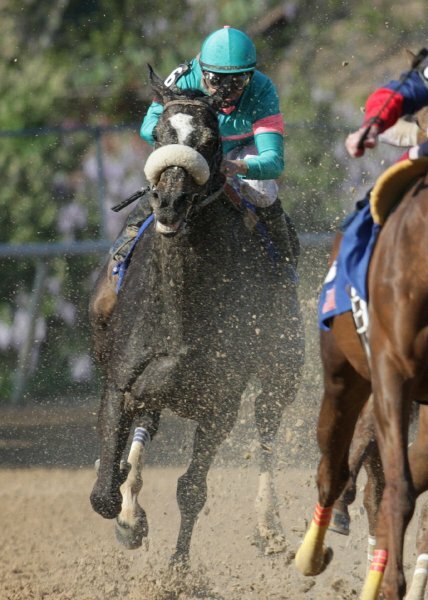 Indomitable on the track, Zenyatta’s star power is equally dazzling off the track: her grace, beauty, captivating personality and gentle heart have won her the admiration and love of fans around the world. 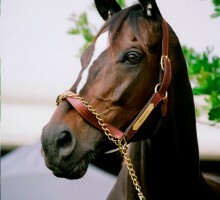 Zenyatta’s star shines on all of us and we are touched and inspired by her. 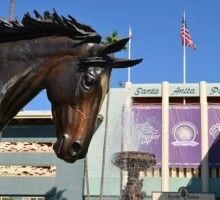 She has turned the sport of kings into a sport of queens — and she is The Queen.